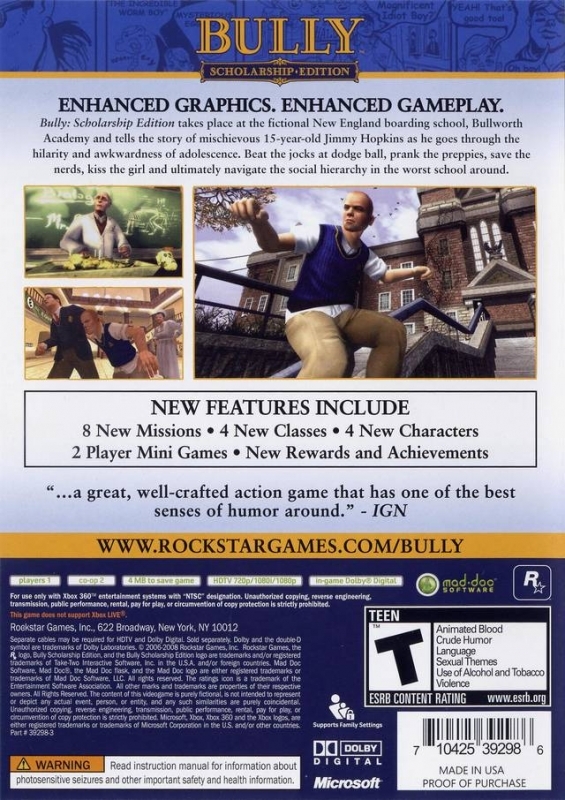 Bully comes to Xbox 360® in Bully: Scholarship Edition, the tale of mischievous 15-year-old Jimmy Hopkins as he goes through the hilarity and awkwardness of adolescence at the fictional New England boarding school, Bullworth Academy. Beat the jocks at dodge ball, prank the preppies, save the nerds, kiss the girl, and ultimately navigate the social hierarchy in the worst school around. 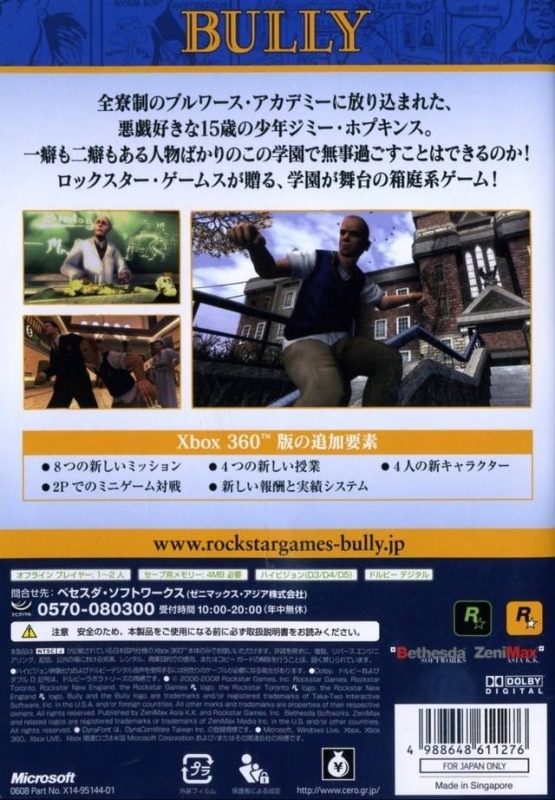 Intriguing storyline: Bully: Scholarship Edition brings together all of the clichés surrounding school, the cliques, the teachers, the pranks, and creates an environment which is hilarious to play and interesting to explore. 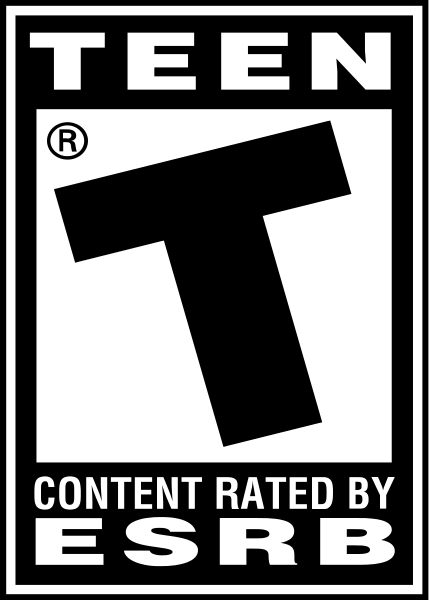 New content: For its Xbox debut, the game provides eight new missions, four new school classes, new characters, added multiplayer mode, new unlockables, online features, and a grading system. 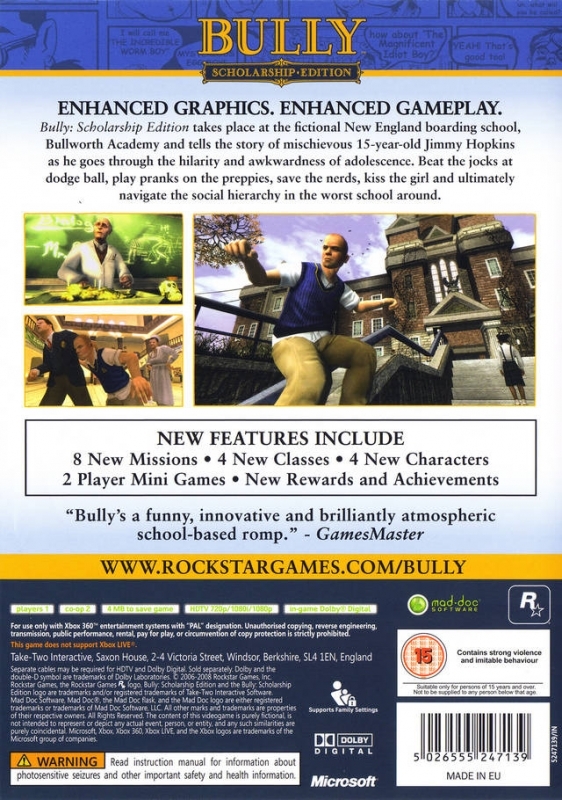 Huge variety of fun: With 82 missions, 45 lessons, loads of mini-games and collectibles, Bully provides over 30 hours of entertainment. Pranks galore: Spread the mischief. Use your slingshot to annoy the school mascot, give the preppies wedgies, leave a stink bomb in the cheerleader's locker, trip the prefects on well-placed marbles, drop firecrackers in the toilets, and own the school. The school experience: Over 100 voiced characters to socially interact with among several social groups: jocks, nerds, preppies, greasers, teachers, townies, carnies, and of course, girls. Your choice: You're in charge. 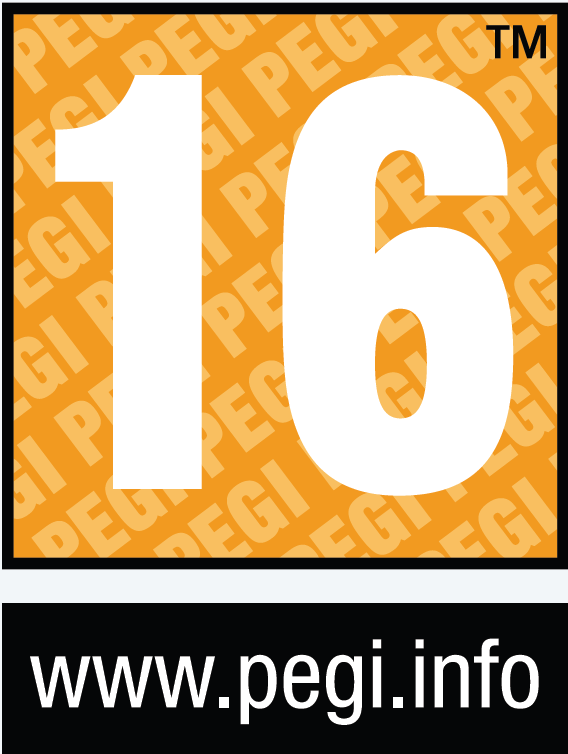 Decide whether you have a positive or negative effect when interacting or accepting missions. Say hello to fellow classmates or deliver mean wedgies. Decide which girls you want to kiss, or what classes to skip. Rockstar... It's seriously time to make a sequel. Getting all the achievements for this game is pretty easy. Only had real trouble with passing music 4 and 5 (all the music classes where somewhat of a pain) and biology 5 almost took a dozen tries. Got all the achievements for it pretty good game. 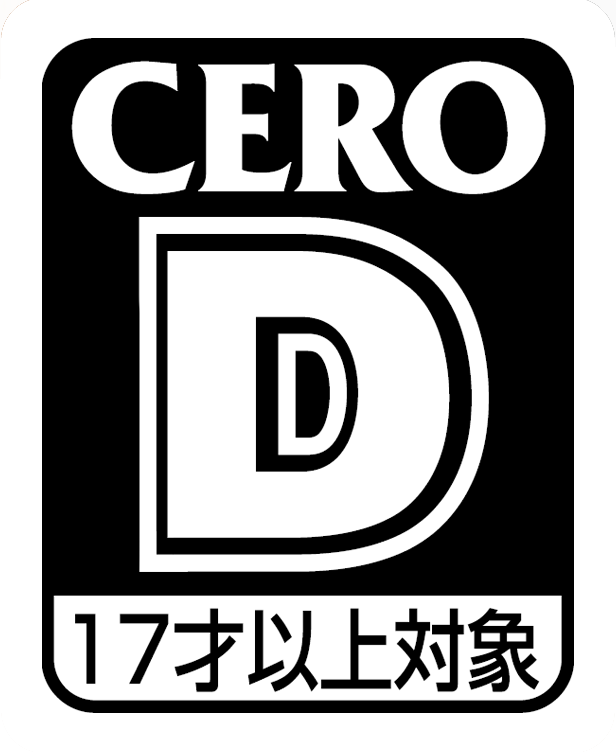 Here's a game I've always wanted to play but never did. I should really pick this up for the 360.